Society Pet Sitter offers customized pet sitting, dog walking, daycare and boarding in Dallas, TX and surrounding cities such as Allen, Frisco, Garland, Highland Park, Plano, Richardson and more. Contact us to see if we service your area. Welcome to Society Pet Sitter! We are Dallas’ premier pet sitting, dog walking and pet nanny service – and we now offer Daycare & Boarding at our new Dallas facility. For more than 20 years, we have provided customized, 24 X 7 service to meet our clients’ needs. Tell us what you are looking for, and let us do the legwork. Need an in-home pet sitter or a mid-day walk? 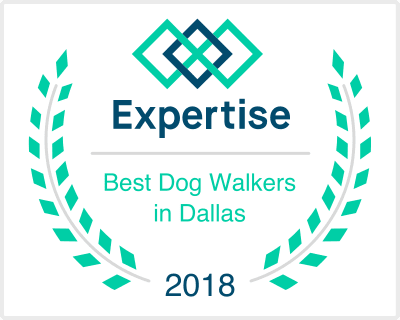 Our Dallas pet sitters and Dallas dog walkers are skilled at maintaining your pets’ routines, administering medications and providing personal care for your pet while you are away. Need an overnight pet sitter? We’ve got your back. Need a sitter while you go out on a date night? We do that, too. Need Daycare or overnight Boarding while you go out of town? We will provide the right services to match your pets’ needs. In keeping with our longtime mission, we will treat your pet as if they are our own. Addison, Carrollton, Coppell, Dallas, Downtown Dallas, Farmers Branch, Frisco, Garland, Highland Park, Irving, Lakewood, Las Colinas, Oak Cliff, Plano, Richardson, University Park, Uptown Dallas, Rowlett, Rockwall, and West Village. Contact us to see if we service your area. Learn more about our services, or contact us if you have questions. Feel free to reach out to us with any questions or feedback. We love to hear from you. Copyright © 2017 Society Pet Sitter. All Rights Reserved.